Crazy happy. It’s a thing, right. How about “truly happy”, “totally happy” and just plain “Happy Happy” – a happy so good they named it twice. 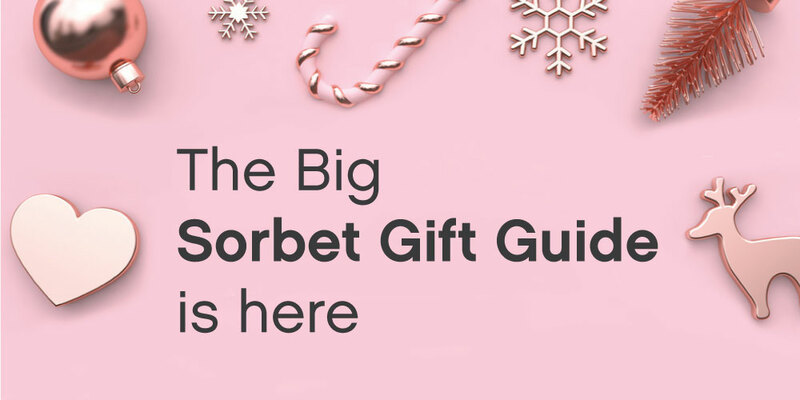 That’s what you can expect when you tap into Sorbet’s vibe this Holiday Season. It’s all happy, it’s all colourful and it’s all holiday in every Sorbet store, nationwide, starting this November. Sorbies can get set for a festive funfair of treats that usher in a jam-packed Sorbet Gift Range, bubbling (yes bubbling) with sparkly goodies to keep the vacays and the staycays from turning dull. Packaged and personally gift-wrapped in colours to delight, the Sorbet gift sets are perfect for every kind of girl or guy choosing any kind of holiday this year. Whether you’re beach bumming, family tripping, party crawling, bestie jamming or, just a holiday homebody grabbing some much-needed end-of-year me-time, Sorbet has the right gift, at the right price, for the right Summer sojourn. !